A remarkably delicious well-aged rum from Flor de Cana, which matches its rich colour with a wonderfully rich flavour. Flor de Cana is found in Nicaragua, a Central American nation which has been blessed with incredibly fertile land, due to a great amount of volcanic activity. This provides the perfect soil for growing cane, which also flourishes in the hot and humid climate of the region. Here the estery quality of the rum has paired perfectly with the long maturation flavours of the cask. Waves of tropical fruit, brown sugar, vanilla and woodspice greet the drinker, building to a crescendo of dense oak flavour and zingy cane freshness. Presented in a marvelous decanter style bottle, and with a smart packaging box, this is one of the best-looking and most incredibly delicious rums we’ve come across. 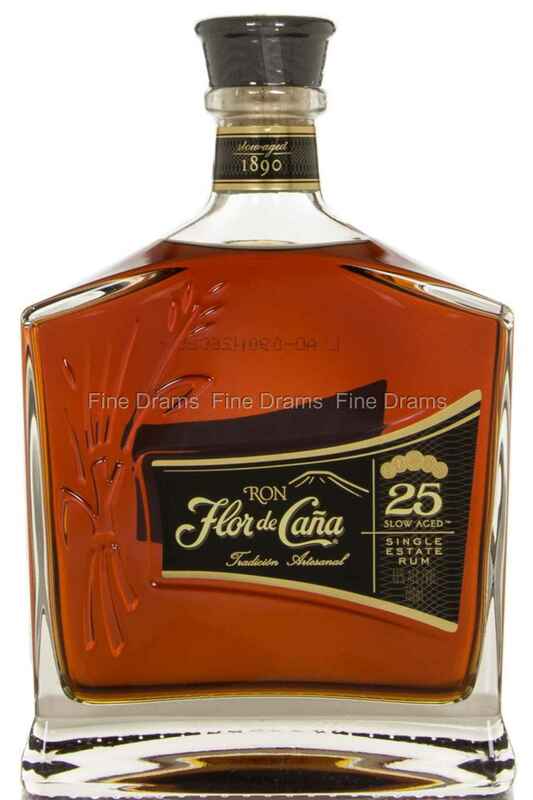 Another stunner from Flor de Cana, that picked up a Gold medal at the Spirits Business Awards of 2014.